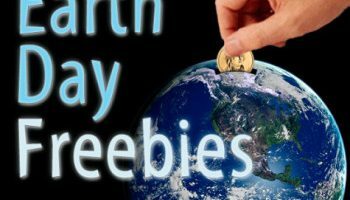 What an amazing perk for teachers in Arizona, California, Florida and Texas! 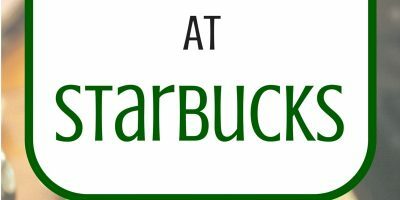 Looking for other ways to save at the parks? Check out all the Sea World Information! 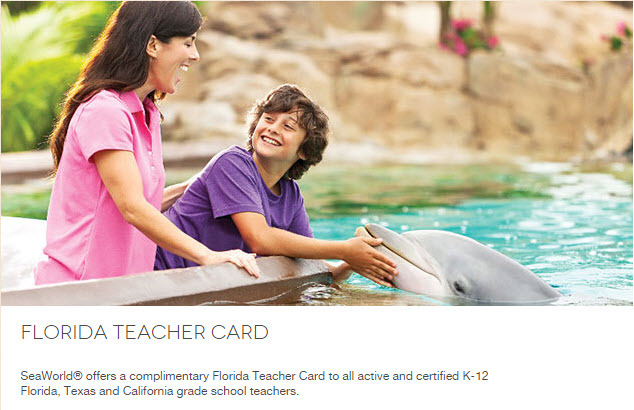 SeaWorld Parks offer teachers a FREE fun pass each year as long as they register online. This park allows teachers unlimited visits to their select parks as well as possibly some free tickets and discounts on other tickets. The information about this pass on their website is much more bare so I found a teacher who wrote about it. Hopefully it’s all still accurate but it’s from 2015. 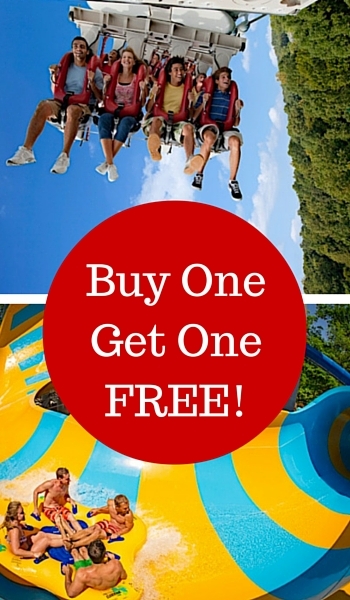 It appears to be a fun pass and in addition you get 3 FREE single day tickets to bring people with you. The Teacher Fun Card is good from the time of redemption through December 31, 2018. They use a system called Teacher I.D. to verify identity. You can also save up to $30 off a certain amount of single day tickets during the year as well. 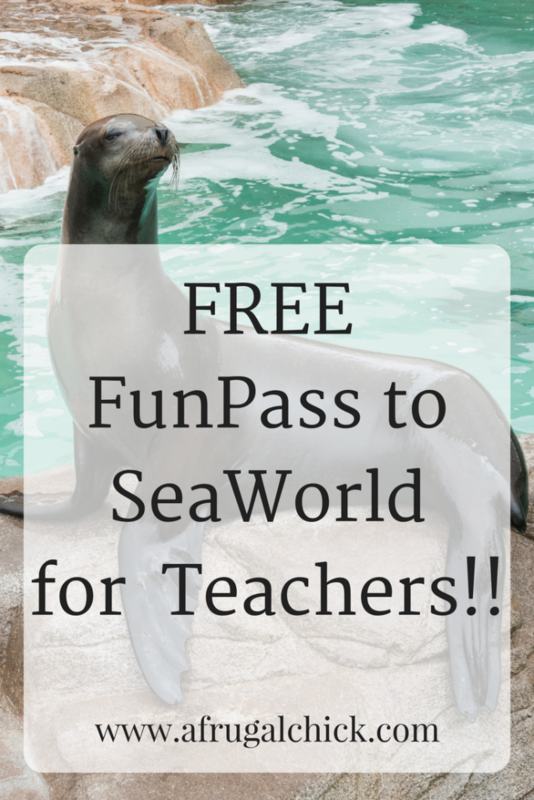 Until May 31, 2018 Texas credentialed Pre-K-12 school teachers can get a FREE SeaWorld Fun Card that provides unlimited admission to SeaWorld San Antonio. The Teacher Fun Card is good from the time of redemption through December 31, 2017. They use a system called Teacher I.D. to verify identity. 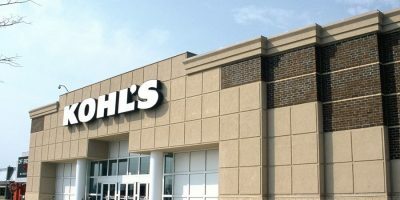 Click here for all the information! Until May 19, 2018 active and certified K-12 California and Arizona credentialed school teachers can get a complimentary Teacher Fun Card plus 2 free Single-Day tickets! The Fun Card is valid for unlimited admission to SeaWorld San Diego through December 30, 2018. They use a system called Teacher I.D. to verify identity for public school teachers. Private school teachers click here to see your directions! They don’t want you to miss out!